Demo out we feel that the revealed Gameplay doesn’t quite match up to the original Gameplay. PS4 Exclusive Deep Down Original Gameplay Vs Revealed Gameplay Comparison – Sony Whats Up? This example shows off how perfectly fire-like the fire is. The Particles are absolutely wow too. Just one word: Wow. That dragon looks absolutely amazing. Bloom is perfect and it looks almost CGI. of the armor and helmet. All in all a pretty solid job. 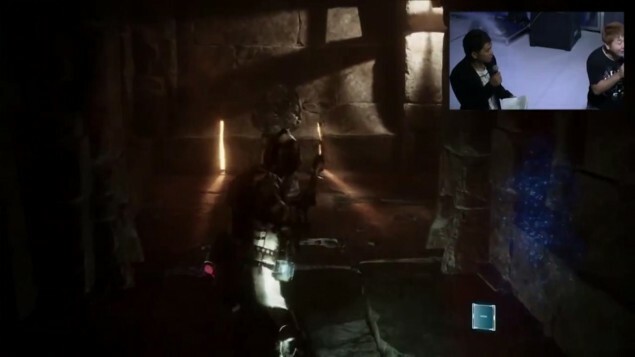 Now lets look at the Revealed Gameplay, the recently revealed multiplayer gameplay is included. Now the problem we seem to have with the revealed Gameplay is that though it is quite amazing, stunning even, it doesn’t quite match up to the original reveal. just us but this doesn’t look like the original quality to us. Here we see how subtly different the Fire dynamic is from the original. Yes we can see the angle is different but the fire appears to have less accurate behavior now, but then again maybe that’s just us. though that’s probably not true.